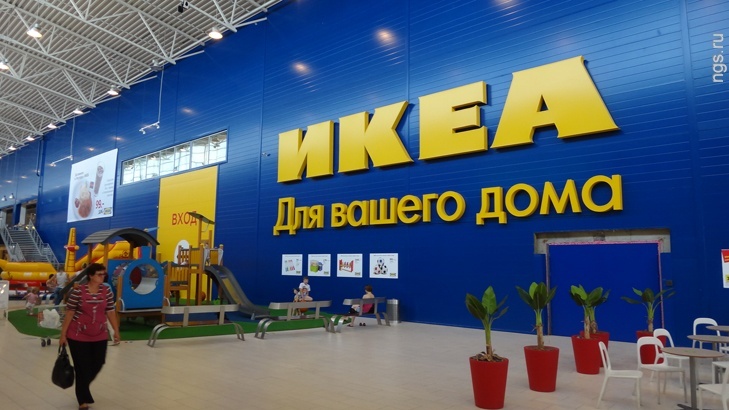 According to its regional policy, the company IKEA at present does not intend to open stores in Krasnoyarsk. As for the future, the Swedish manufacturer also has no plans in this direction. According to the press service of the ogranizatsii, construction of shopping centers and IKEA MEGA in new regions of Russia, including Krasnoyarsk, to date, no planned. Despite this, the company IKEA in the Russian Federation is considered one of the most strategically important markets. But seriously your business IKEA intends to continue to develop exclusively in the capital. The company's management has confirmed this information and announced plans to build a separate shops located in the Moscow region. Earlier publicity was devoted to information about the negotiations of the authorities and the Mayor of information Krasnoyarsk Edkham Akbulatov (2010) had plans on opening another shopping center company, but the company IKEA was interested only in the city of Moscow. Last week marked the event that the governor of the region - Lev Kuznetsov - said that the Universiade may well lead to the city of such international brands as IKEA and McDonald's. If the Universiade will be a positive decision, there is a perception that a brand like IKEA, automatically come to the region. At the moment, negotiations on this subject, but, of course, a decision that will be Universiade or not, will create extra motivation. Recall IKEA is present in more than 40 countries. In the Russian Federation, shopping malls and stores are open in Moscow, The Moscow region and St. Petersburg, Ufa, Rostov-on-Don, Kazan, Adygea, Krasnodar, Nizhny Novgorod, Yekaterinburg, Omsk, Novosibirsk и Samara. Annual sales turnover of almost 25 billion euros.